We recognise that today’s generation learn and engage differently to students in the past and that schools need to adapt and change to reflect the wider changes in society. To keep students engaged and motivated schools need to compete with an ever increasing range of media. To meet these demands in 2011 we introduced our first iPads into classrooms. They have proved to be an incredible success and are now used across the school. Our Year 6 children are now each provided with their very own iPad to support them with their learning in school throughout the year. These Apps are part of an essential iPad ‘toolkit’, which will enable the children to maximise their creativity, enjoyment and achievement across all areas of the curriculum. They are, however, simply a starting point! Pages is Apple’s word processing App for the iPad. It allows you to open existing Word documents, edit them and then save or export as Word, PDF or Pages documents. Keynote is Apple’s presentation App for the iPad. It enables you to open existing PowerPoint files and edit them meaning you won’t have to start from scratch! It’s easy to use and enables the children to create dynamic and elegant presentations in minutes. A fantastic App that can be used across many subject areas. It enables you to create interactive books which can contain text, images, videos and audio files. These can then be exported and turned into professional looking ‘ePubs’ enabling you to flip through their pages and interact with the content. A real favourite with the children! A brilliant App that can enable children to create a finished project on a given theme or simply collect their ideas. 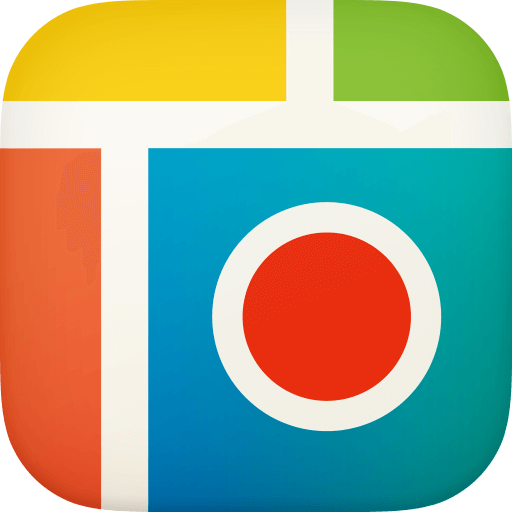 Use photos, stickers, frames and text to create amazing collages which can be exported and used in other Apps. 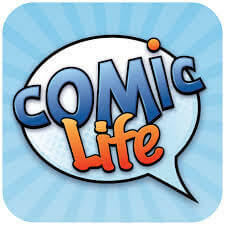 A great App that enables children to create polished and professional looking comics. Enables children to really be creative! Could you create a maths puzzle comic, a ‘how to be good at…’ comic, or how about a comic of all the things you’ve learnt during a theme of work? Tellagami is a real favourite with the children. It enables you to create your own videos. Begin by creating your own character and either choosing or making a background. Next, record what you want your character to say and, amazingly, the App animates the mouth and body in accordance with what is being said. This App pretty much does it all! At its heart it is a simple whiteboard app. However, it also enables you to import PPT, Word, video, photos, Pages, Keynote and PDF documents. You can then annotate them using either a pen tool or your voice. You can create instructional videos, animations, revision guides…you name it!